Russia announced Friday it will begin the startup next week of Iran’s only atomic power plant, giving Tehran a boost as it struggles with international sanctions and highlighting differences between Moscow and Washington over pressuring the Islamic Republic to give up activities that could be used to make nuclear arms. Uranium fuel shipped by Russia will be loaded into the Bushehr reactor on Aug. 21, beginning a process that will last about a month and end with the reactor sending electricity to Iranian cities, Russian and Iranian officials said. Russia has walked a fine line on Iran for years. One of six world powers leading international efforts to ensure Iran does not develop a nuclear weapon, it has strongly criticized the U.S. and the European Union for following up with separate sanctions after the latest U.N. penalties — which Moscow supported — were passed. Iran’s semiofficial ISNA news agency quoted Vice President Ali Akbar Salehi, who also heads the Atomic Energy Organization of Iran, as saying that the country had invited IAEA experts to watch the transfer of fuel, which was shipped about two years ago, into the Bushehr reactor. “Fuel complexes are sealed (and being monitored by IAEA). 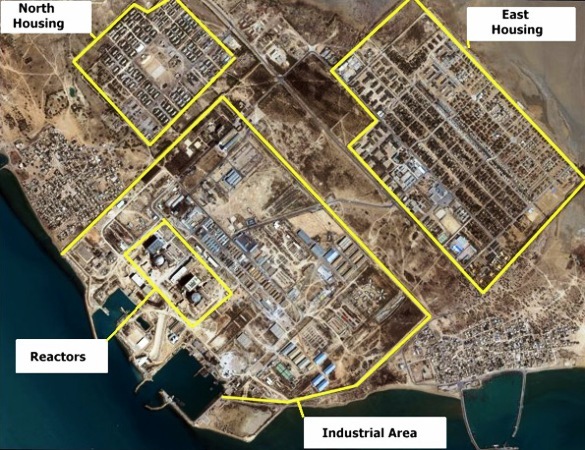 Naturally, IAEA inspectors will be there to watch the unsealing,” ISNA quoted Salehi as saying. Russia has said the Bushehr project has been closely supervised by the IAEA. But the U.N. watchdog has no monitoring authority at the plant beyond ensuring that its nuclear fuel is accounted for, and U.S. and EU officials have expressed safety concerns. They note that Iran — leery of opening up its nuclear activities to outsiders — refuses to sign on to the Convention on Nuclear Safety, making it subject to international monitoring of its atomic safety standards. Iran says Wednesday that the Bushehr nuclear power plant, a joint project with Russia, would be ready for operation in two months, the ISNA news agency reported. Atomic agency chief Ali-Akbar Salehi said important, so-called hot tests have been concluded and, according to both Russian and Iranian experts, the plant would be ready by September. The light-water reactor in Bushehr is internationally tolerated because of Russia’s involvement and guarantees that the nuclear fuel would be delivered from and nuclear waste returned to Russia, reducing fears of nuclear proliferation.